We have all been waiting for some rain, but then reality hits and often the choice is going out without your pooch or being stuck at home. 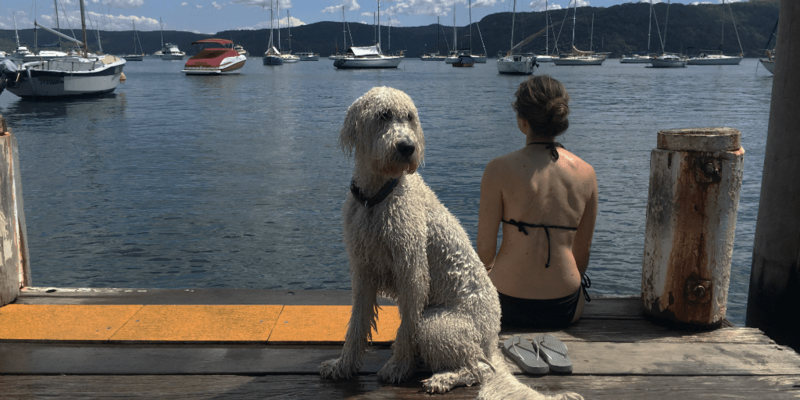 At Pupsy, we want you to have as much quality time as possible with your fur baby so we’ve sniffed out the best dog friendly things you can do with your pooch on a rainy day in Sydney! 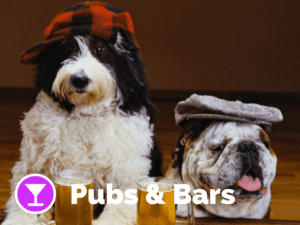 We at Pupsy have been super busy at getting all the best intelligence for you on pubs which actually welcome you AND your pooch inside! 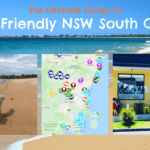 So far we have found 34 really pawsome venues and visited lots of new suburbs and places, and its been lots of fun! 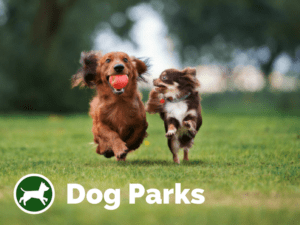 If the rain does clear for a bit, of course don’t forget that your pooch needs to relief him/herself and also wants a bit of a runaround so search for a dog park near you on the Pupsy’s Dog Park Map for an off leash Dog Park near the pub. 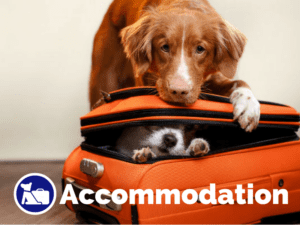 The Hughenden, a boutique dog friendly hotel, superbly located at the crossroads of Centennial Parklands, Woollahra and Paddington villages, is simply full of luxury for both you and your pooch. 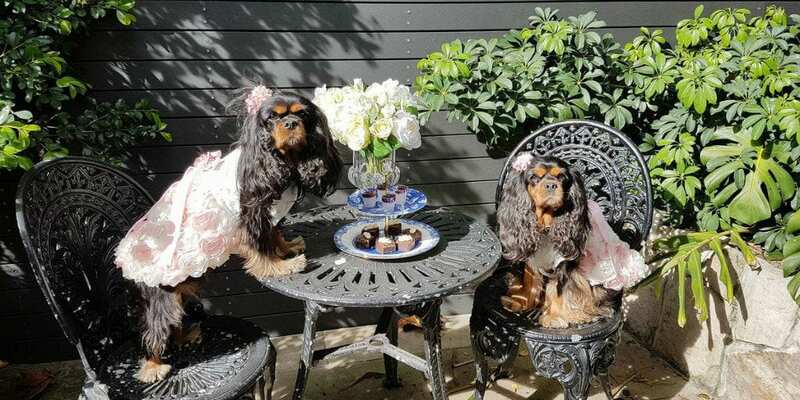 Dogs are welcome to the hotel restaurant and especially on a rainy day their special Doggie High Tea events are definitely worth a try! Sign up to Pupsy (it’s free for you! ), create a cute profile and upload a pawsome profile pic and start finding some mates! This works just like Facebook (not quite as sophisticated but hey we don’t have a Facebook budget ;-)), except that instead of you, your dog connects to other dogs and the human identity stays out. It’s all about your pup! Need some help on how to get the pawfect shot and have fun with your fur baby in the process? Check out these 6 invaluable tips on how to master a pawfect Pupsy Profile photo of your dog! Once you are connected, you can send messages via Pupsy and arrange a playdate with your new friend in a safe and public environment like i.e. 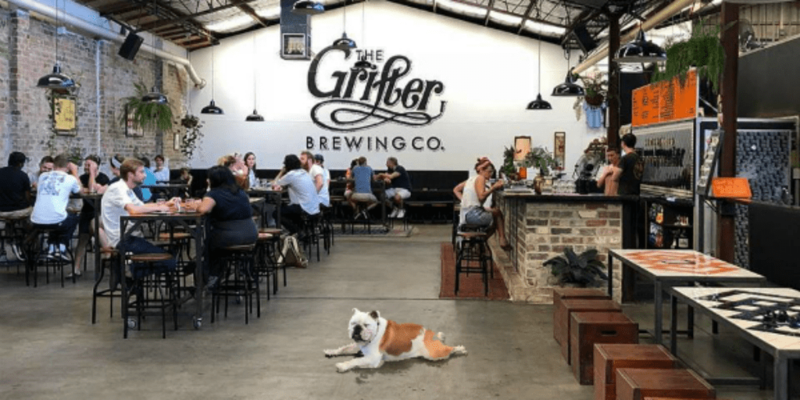 a dog friendly brewery. 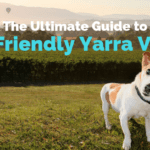 Most breweries have lots of space to roam around so your pooch and his/her new mates won’t get stressed. 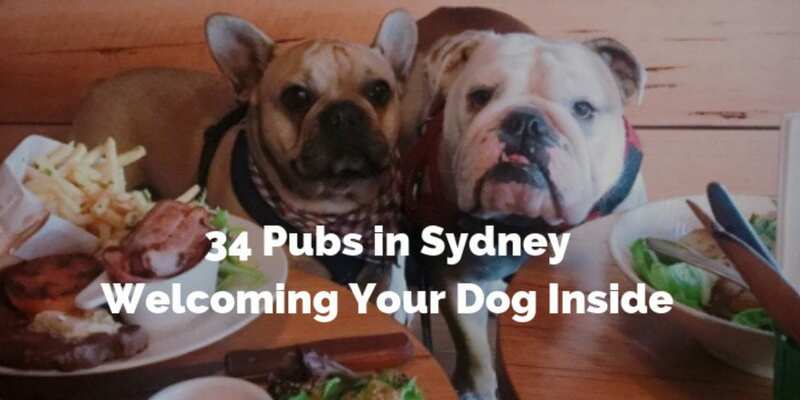 The trend of microbreweries has well and truly arrived in Sydney and the best part is that most of them love dogs and are super dog friendly. 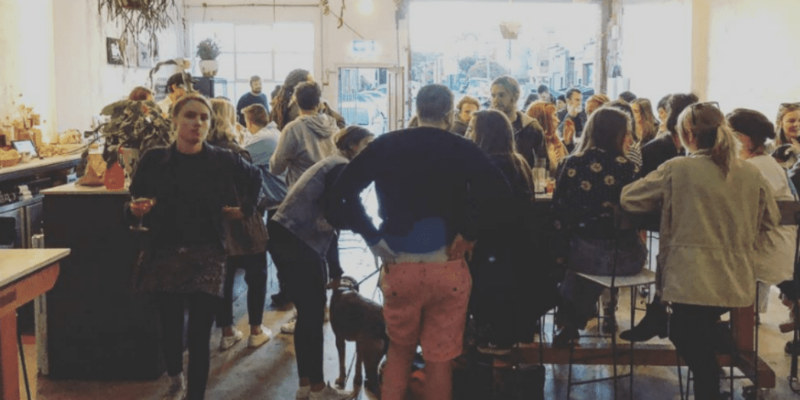 Another advantage is that most breweries have their bars in large warehouses, so usually there is lots of space and its not too noisy, a perfect outing with your dog on a rainy day! How about a Puppy Pale Ale for your pup? Check out All Hands Brewing to get your hands on one of those for your dog, yumm! 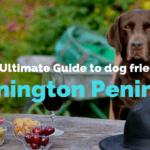 Try new brews, meet up with friends and give you and your dog a break from being stuck at home, check out the dog friendly breweries here. Another great dog friendly adventure on a rainy day is to visit a Gin Distillery and try their unusual and tasty drops. At Poor Toms Gin Hall, pups are allowed inside while you can taste the final product of distilling 106 ingredients to get a sense of each flavour, which is a dry, wheat-based gin flavoured with strawberry gum (leaves), lemon myrtle and Granny Smith apple. Who would have thought? 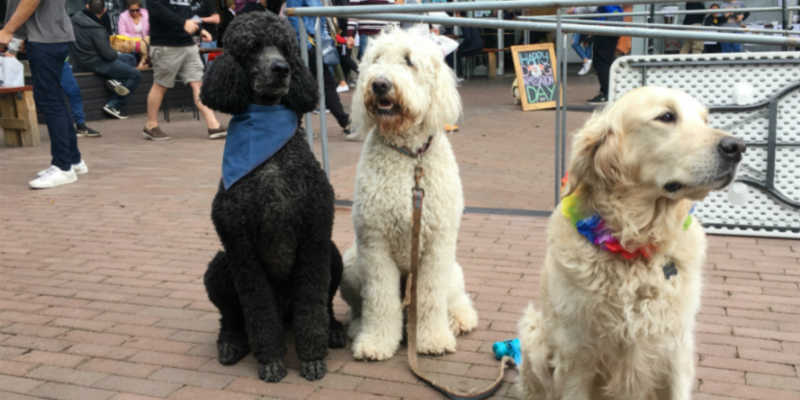 Yes, we have been doing our research and it’s finally come to Sydney: Dog Yoga! During Dog Yoga, your dog will learn how to practise a set of postures, movements and expressions, in order to relax, calm down and cope with the inevitable stressors of modern dog life. The benefit of Dog Yoga lies in how and when your dog learns to apply the taught postures and movements: the sets become your dog’s “go-to” behaviours in times of stress, because they experience them as self-soothing, relaxing and calming. 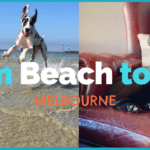 Sounds like a great way to spend some quality time with your pooch and teach an anxious dog how to relax! Let’s be honest, you and your pooch are wet already why not go all the way and go for a swim? 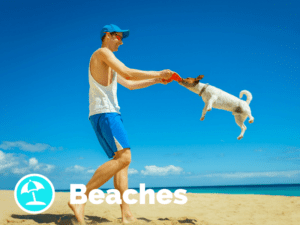 Check out these off leash dog beaches to play in the waves in the rain!